In the past weeks we’ve witnessed protests, trash, and sandstorms – all very ugly things. Now Beirut Art Week is giving us a beautiful break, poking its head through the cracks and blossoming in city streets. From September 15 to 22 instillations, exhibitions, and events are changing Beirut’s urban landscape, bringing out its heritage and merging it with artistic expression. From public spaces to luxury boutiques, our intense little concrete jungle is transforming into an oversized art space. The 3rd instalment of the annual event features artworks including an intricate face sculpture by Korean metal-smith Seo Young-Deok at Lebanese fashion designer Elie Saab’s flagship store; a one-off Hermes scarf by Argentinian artist Julio Le Parc at the brand’s boutique in Beirut Souks; a pop-art cartoon dog by Brazil’s sensational Romero Britto in the window of the Joseph boutique; Lebanese artist Nabil Helou’s large ergonomic sculpture outside the Panarai in Beirut Souks; a tree-inspired art instillation at Vertu (who are also releasing a one-of-a-kind phone designed by the artist); and stunning sculptures by Syria’s Issa Kazah at Le Gray. Take a walk around the Beirut Central District to discover this incredible variety of art by Lebanon’s seasoned artists and international creators. 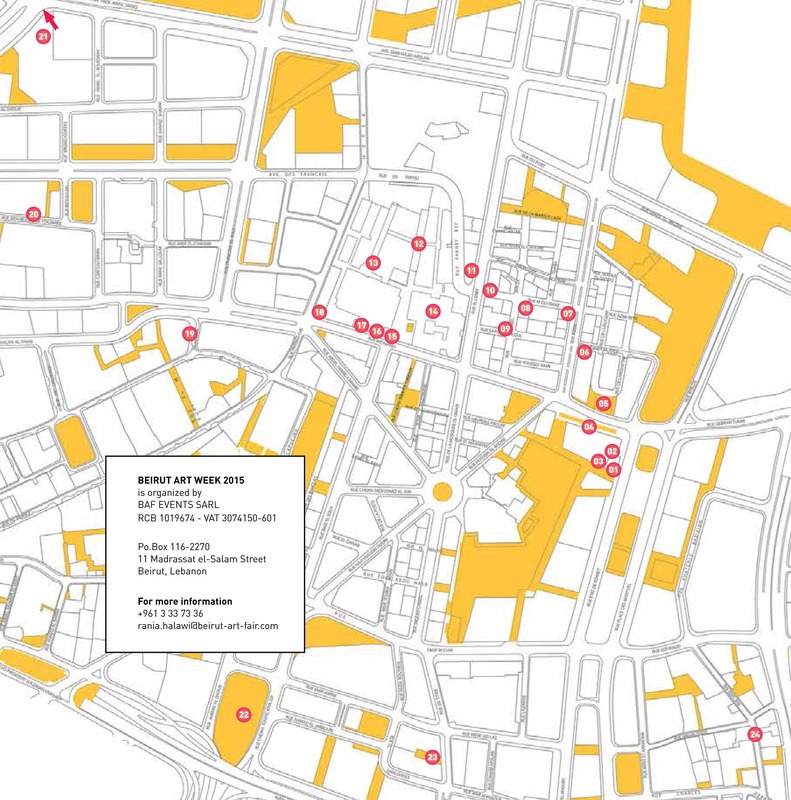 The Beirut Art Week city map will help guide you so that you don’t miss any of the must-see destinations. The weeklong event starts ahead of the Beirut Art Fair, which opens to the public on September 18. There are also additional exhibitions in other parts of town. Check out our full list below.